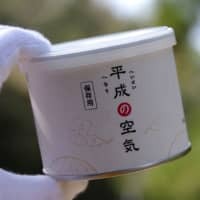 When officials from the Crisis Management Division of the city of Yaizu in Shizuoka Prefecture carried out emergency response drills last summer, they received a helping hand from an unconventional source. 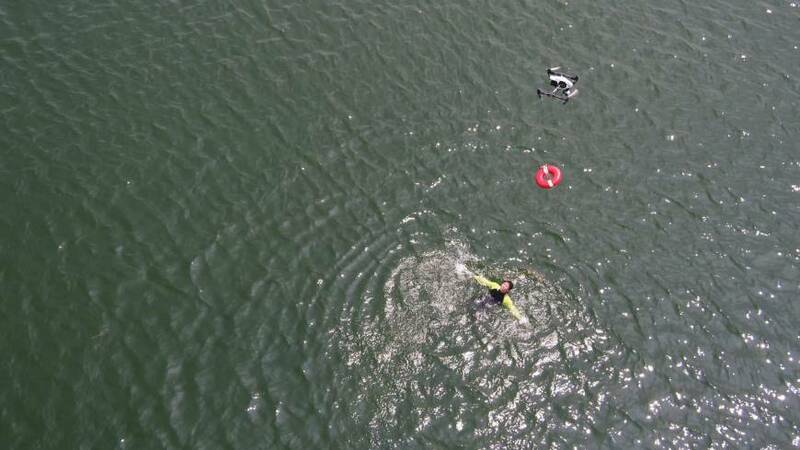 The discovery of a “swimmer” stranded in the waters of Suruga Bay was made not by a vessel or helicopter of the coast guard or fire department, but by a drone. 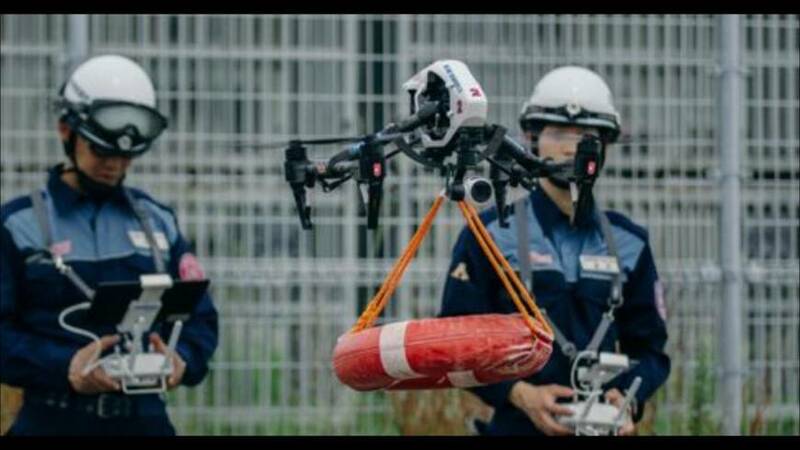 The helpless castaway was detected by a thermal imaging camera fixed to the front of the drone and, immediately after the data had been transmitted back to the city’s disaster response HQ, a second drone was dispatched, armed with a lifebuoy. 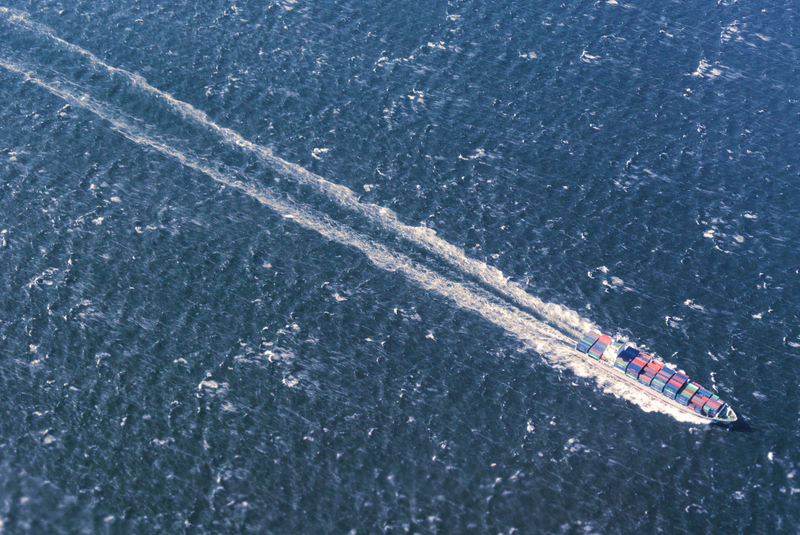 In total, the rescue operation was completed in a matter of minutes. 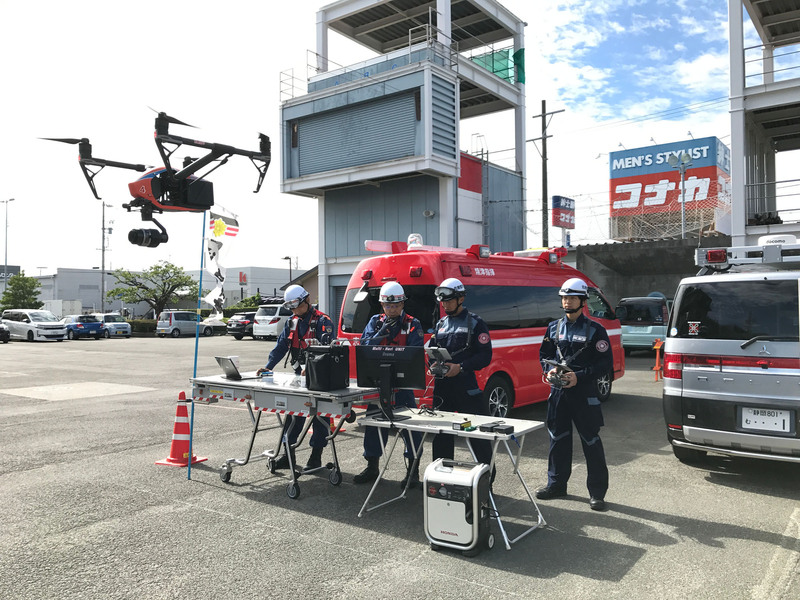 Along with the likes of Kimitsu City in Chiba Prefecture and Uwajima City in Ehime, Yaizu is one of a handful of municipalities nationwide that are making use of drones in their disaster response strategies — one of the more self-evident uses of the technology in a country that is highly susceptible to natural disasters. 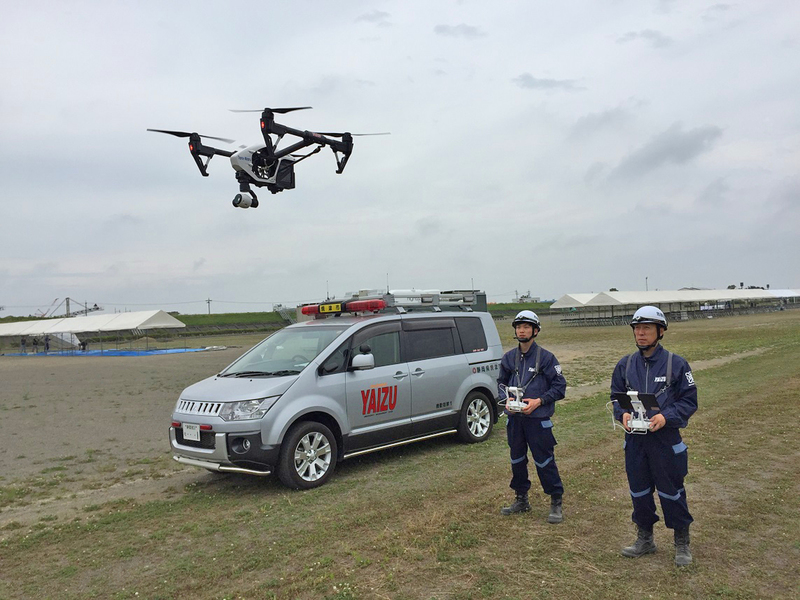 Other areas in which Yaizu is utilizing its fleet of four drones includes waterways and farmland management, according to Torisawa, adding that the city now has a total of 13 officials who have received drone pilot training since the devices were put on the payroll in spring 2016. In other areas, however, progress has been sluggish. Drones assisting in the laying of utility cables and in some aspects of construction — including the Sony group’s drone service that checks for fraudulent building practices — have found some utility, while more commercially alluring services for the general public, such as courier delivery services, have until now been carried out entirely on a trial basis. 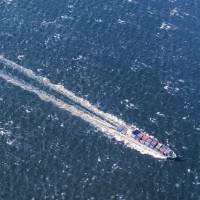 To grasp the potential of drones, or unmanned aerial vehicles (UAVs) as they are sometimes called, a look overseas gives a taste of what the future has in store for Japan. Perhaps the most eye-popping example was presented last September, when German company Volocopter GmbH gave flight to the world’s first fully electric, on-demand drone taxi in Dubai. Drone delivery services, meanwhile, are becoming increasingly prevalent. Israeli outfit Flytrex recently convened on-demand food and goods delivery in Reykjavik and is also testing a drone postal service in the Ukraine. Domino’s Inc., meanwhile, has taken its pizza delivery service to new heights, employing drones in Germany and the Netherlands. Japan, too, has made some progress. A taxi drone system called SkyDrive is being developed by Toyota-backed venture startup Cartivator, with the aim of having it up and running by the 2020 Tokyo Olympics, while online shopping giant Rakuten teamed up with convenience store chain Lawson’s last October to deliver chicken and other goods to residents in the city of Minamisoma, Fukushima Prefecture. 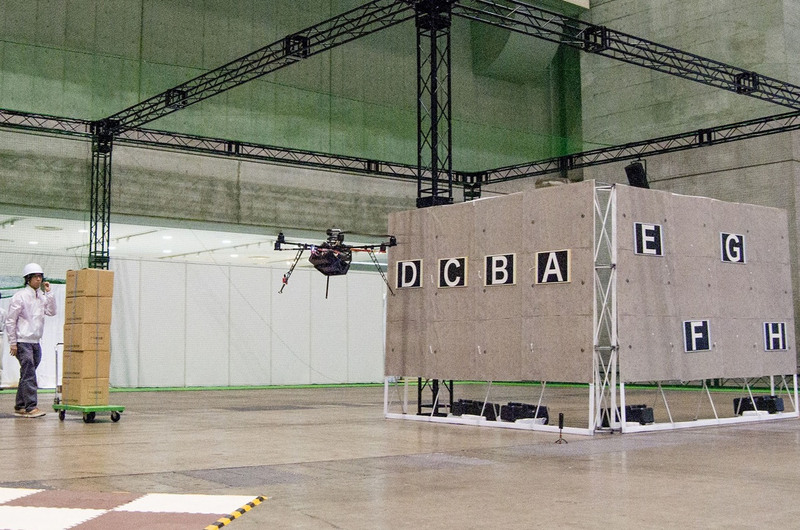 In November 2017, a team of researchers also tested a similar delivery service that employed unmanned aircraft in a remote, mountainous part of Nagano Prefecture. Indeed, it was the communities in and around the target area in that test that provided a microcosm of a situation in Japan that makes the practical popularization of drone systems all the more imperative, according to drone researcher Kenzo Nonami, chairman of the Japan Drone Consortium and CEO of Autonomous Control Systems Laboratory Ltd., which provided the drone for the Nagano trial. 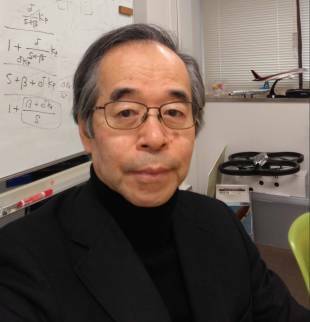 “If you needed any incentive to push drone services in Japan, you need look no further than the country’s declining workforce and aging population,” says Nonami, inventor of Japan’s first-ever multicopter and a professor emeritus at Chiba University’s Graduate School of Engineering. 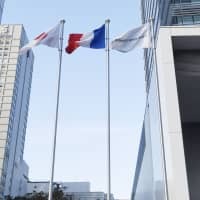 Hampering or, as some see it, steadying progress in Japan, are the current regulations and infrastructure, which limit the kinds of activities UAVs can perform. In spring last year, the Cabinet Office pulled together a taskforce of experts from the public and private sectors to establish a four-level road map toward developing and implementing the necessary hardware and software to facilitate more extensive UAV networks. The first of those four levels relates to those devices operated by people via remote control, while the second level includes drones that can fly independently but within the pilot’s visual line of sight (VLOS). The third level also includes drones that can function independently, but beyond the visual line of site (BVLOS), while the fourth level allows for the piloting of UAVs over densely inhabited areas, which is currently prohibited (see sidebar on page 12). At present Japan is set up to accommodate the first two levels, allowing only a restricted range of uses — most commonly relating to image capture, though exceptions do exist, such as those seen in Yaizu’s crisis management and in the agriculture sector, where drones have been spraying crops in Japan since the 1980s. The move to the third level and BVLOS, however, will be an important turning point, says Nonami, whose Japan Drone Consortium is made up of some 280 UAV-related businesses, makers and research entities working toward the advancement of drone systems in Japan. Under current regulations, users can apply for permission to fly in places beyond line of sight, but even if permission is granted, it only allows flights over short distances, Nonami says. 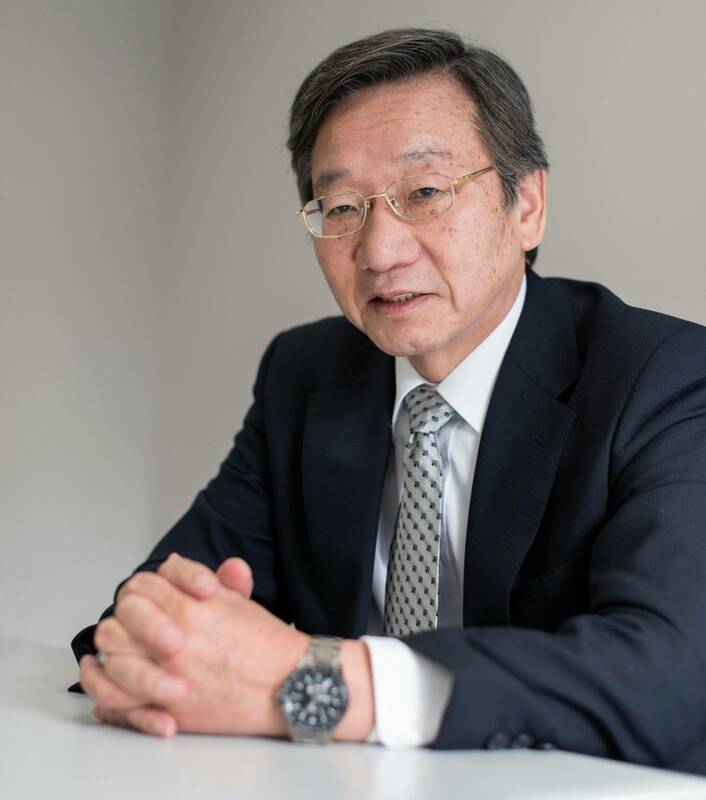 “Once longer distances and BVLOS are available, we will be able to tackle a whole range of issues that are currently untestable in Japan,” he says, adding that less stringent rules in China have lead some Japanese drone developers to test technology there. 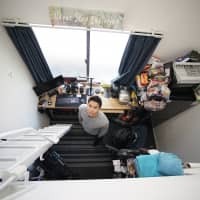 According to the government road map, the move to the third level is slated for this coming March, while the progression to the final level is slated for 2020, just in time for the Tokyo Olympic Games. Yet, there are still a number of hurdles that need to be cleared, not least of all safety and security issues, experts say. Any search for “drone fails” on Youtube will bring up some alarming results, many attributable to human rather than technological error. 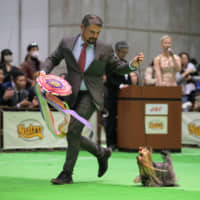 Among them is one that occurred at an event in a park in Gifu Prefecture in late 2017, where a drone came down into a crowd and injured six people. Two projects currently being undertaken by Suzuki and his team relate to the accurate and safe landing of drones on specially developed landing ports and the use of stereo fisheye lenses to allow UAVs to operate indoors and other covered areas where GPS signals struggle to penetrate. Such a system will prove invaluable in a number of future drone applications in Japan, not least of all in the industrial sector. One such application is the inspecting of the nation’s rapidly aging infrastructure, around 40 percent of which will be 50 years or older by the time the Olympics come around, experts say. 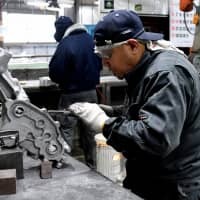 Indeed, UAVs will play a huge role in Industry 4.0, gathering information and then immediately uploading it into the cloud for analysis and so on via artificial intelligence and the ‘internet of things,’ he says. “This is the drone application on which I’m placing my biggest hopes,” he says. A further significant boost to drone development will be provided as early as this April when Japan’s Quasi-Zenith Satellite System (QZSS) is scheduled to become operational. QZSS utilizes four “Michibiki” satellites that continuously move in a figure eight pattern from the skies above Japan to the southern extremes of Australia and back again. They are staggered in a manner that means one satellite is always moving above Japan with the primary function of ensuring stable GPS availability in Japan’s numerous urban canyons and extensive mountainous regions — both of which can seriously hamper meaningful GPS reception, Nonami says. Once in place, drone taxi services a la “The Fifth Element” are not beyond the realms of possibility. “Under the present system, GPS positioning accuracy is around 10 meters, but with QZSS this will improve to around 20 centimeters,” Nonami says, adding that the current system is not only used for vehicle navigation systems but is imperative for a wide variety of services, including monitoring services for children and senior citizens, automatic control of agricultural machinery, detecting earthquakes and volcanic activities, and weather forecasting. 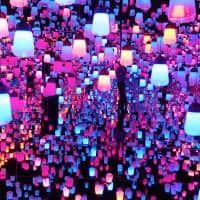 With QZSS, it will be able to do this — and much more — even better, he says. The new system will be a huge boon for drone systems, which at present are unable to reliably receive GPS signals in mountainous and high-rise urban areas, and without suitable detecting systems can be easily thrown off course by electromagnetic field interference emitted by mobile phone transmission towers, he adds. Once the way is cleared for QZSS and fourth level operation, commercial use by drones and the day when we are able to reach out of our window and collect a pizza without even pressing the pause button on the remote control is not so far away. 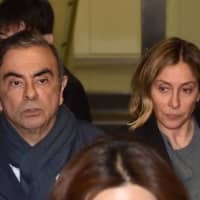 Nonami agrees, saying this could be the start of a “golden era” and adding that he expects highly intelligent — and safe — autonomous drones will be a common feature within the next five or six years. Type 1: A small motorized multicopter, commonly found in electronics stores, that is used most prominently for image capture, enabling users to access places that were previously too remote or out of reach. They can travel at speeds up to 70 kilometers per hour with a total flight time (battery life) of around 30 to 60 minutes. Type 2: A single-rotor multicopter, somewhat like a miniature helicopter and much larger than Type 1, that runs not by a motor but an engine. It can be operated for up to 90 minutes and can carry loads of around 100 kilograms. These have been utilized in the country’s agriculture industry and are viewed as being the most suitable for future courier delivery services. Type 3: Although classified as a drone, this is closer to an aircraft and was originally developed for surveillance and military purposes. Its biggest asset is its operational longevity, being able to fly for up to six hours and distances of around 150 kilometers. Despite its size, it has a load capacity of just 5 kilograms — even less than Type 1 (10 kilograms) — and its primary use is for image capture. * For information on operating unmanned aerial vehicles outside the above restrictions, contact hqt-jcab.mujin@ml.mlit.go.jpan. Note that permission is not a foregone conclusion for applicants, who must demonstrate they can meet a number of government-stipulated conditions, such as having at least 10 hours drone piloting experience and an ability to operate a drone even when the GPS guidance system has been switched off. ** Drone maker DJI also provides an easy-to-use “GEO Zone map” indicating safe and off-limit flying zones in Japan and around the world: www.dji.com/flysafe/geo-map. It should also be noted that, according to these maps, most of Tokyo, including Tokyo Bay, is off-limits and flying above any private property in the metropolis (or any densely populated area), even your own, is considered illegal without permission (see * above).